When a Cub Scout wears his uniform, he is showing the world that he is a member of this youth organization. The patches he displays further identify him as a member of a specific Cub Scout pack. They tell of his accomplishments, achievements and experiences, letting others know that he worked hard to achieve his goals. Cub Scout patches are divided into two categories, temporary patches and permanent patches. A Cub Scout receives a temporary patch for taking part in special events and for attending others. 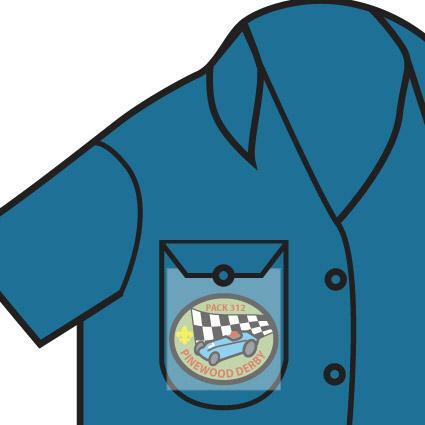 This type of patch is displayed on the center of the right front pocket of the uniform shirt. The most common way to display a temporary patch is to insert it into a clear plastic holder that attaches to the button on the pocket. Although there are temporary patches that are shaped to fit onto the flap of the shirt pocket, they also must be displayed in the same manner as all other temporary patches. A Cub Scout is only permitted to wear one temporary patch at a time. It is completely up to the scout to pick the temporary patch he wears at all times. A scout may also choose not to wear a temporary patch. 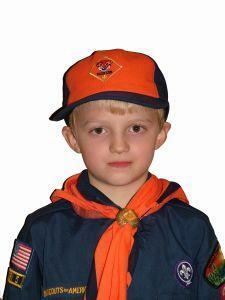 Cub Scouts often make or purchase a red vest or blanket where they display all of their temporary patches. While certain patches and insignia are worn by all members of the Cub Scouts, there are others that are worn based upon the scout's level, rank and achievements. The Council emblem also called the council shoulder patch, is worn by all members on the left sleeve directly under the shirt's shoulder seam. In the same position on the right sleeve, all members wear an embroidered American flag. The numerals of the scout's unit are worn on the left sleeve below the council patch. 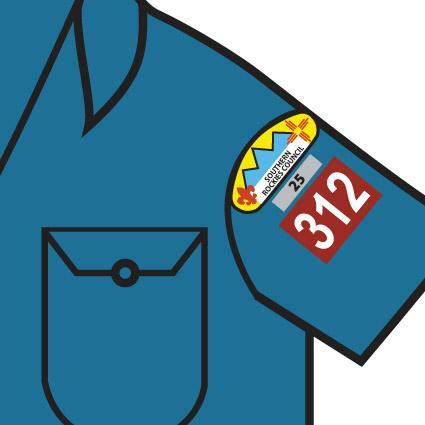 If a Cub Scout is in a unit that has been chartered for 25, 50 or 75 years, the members wear an embroidered veteran unit bar above the unit numerals and directly below the council patch on the left sleeve. The veteran unit bar patches are different colors to signify the number of years the unit has been chartered. Centered just below the American flag on the right sleeve are the den numerals. The tops of the numerals should touch the bottom of the flag. 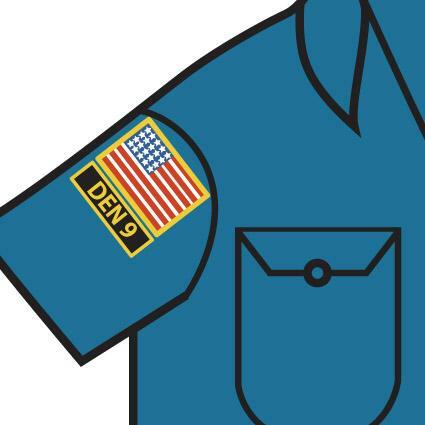 Some Webelos scouts may have a name patch instead of den numerals. It is worn in the same position as the den numerals. The diamond shaped rank badges are worn on the left pocket. The scout level determines the position of the patch. The Arrow of Light patch is worn centered on the flap of the left pocket. The Virtual Cub Scout Insignia Guide: Here you can find details on proper insignia display on everything from Council Emblems to Service Stars. Scouting.org: This PDF file from the official scouting website provides simple descriptions and images of patch and insignia layout. Cub Scout membership and the accompanying achievements are something to be proud of. With the correct patch placement, scouts can look their best and be at ease in any situation in which they will be wearing their uniform and showing off their hard-earned patches.